Registration for the 8th Congress is open. 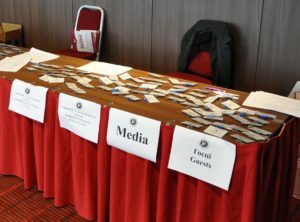 Deadline – 25 May 2019 – Інстытут палітычных даследаванняў "Палiтычная сфера"
The Congress is the most representative annual academic and expert event of Belarus. It gathers all main intellectual centres which study Belarusian politics, society and culture. Besides, the Congress presents a fine opportunity to develop new viable research and civil projects, exchange opinions and ideas, establish informal contacts with experts and academics from Belarus and other countries. In 2019 the Congress will work in 14 research areas, which include all main social sciences and humanities: history, international relations and political science, linguistics, literature studies, philosophy, law studies, etc.